And Philip went down to Samaria and was teaching them about Christ. 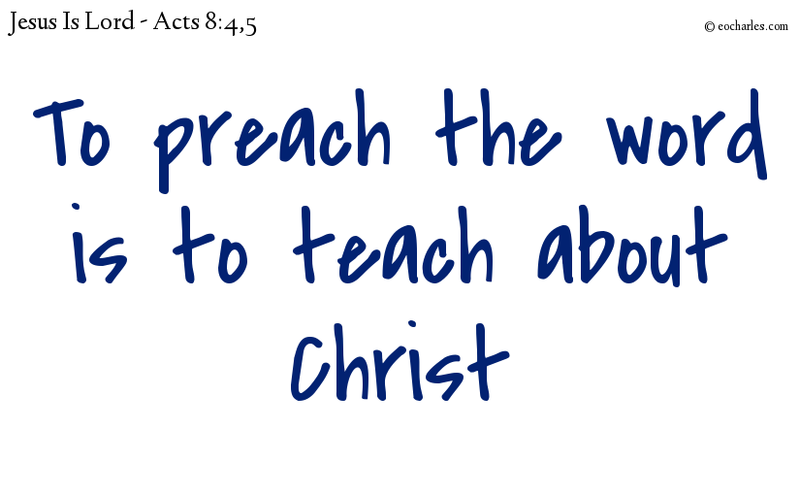 Act 8:4 But those who had gone in flight went everywhere preaching the word. Act 8:5 And Philip went down to Samaria and was teaching them about Christ.